At Whispering Creek Landscaping we are known as one of the premier landscaping companies in Dayton, Ohio. Our team of professionals are dedicated to bringing you the luxury of indoor living, outside. Our trusted craftsmen work diligently to bring your ideas to life – polishing every detail to perfection. Take a look at our full range of Landscaping Services. Let us help bring your outdoor dreams to life. Welcome! We are so glad you want to find out more about us. The first thing you should know is that Grunder Landscaping is committed to exceeding our clients’ expectations. In fact, our company mission is: To enhance the beauty and value of every client’s property while exceeding their expectations every step of the way. As you browse through our site, we think you’ll see this mission come to life in the photos of our completed projects and through the words of our clients. Grunder Landscaping provides design and installation of landscaping and hardscaping throughout the Dayton Region. We also offer professional landscape maintenance services through our LandKeeping™ Division. Contact us today so that we can find out more about you and how we can create an outdoor environment that exceeds your expectations–every season of the year. One of the most important skills for any do-it-yourselfer is to know when not to. If you have a really big project in mind, like adding a room or a project that involves skills (and tools) outside of your knowledge, turning to professionals is a good choice. Now you enter the realm of contractors and subcontractors. What's the difference? Think of it like this. If you hire an event planner for a wedding, golden anniversary or other celebration, you don't expect him or her to bake the cake, cook the meal, grow the flowers or play the music. You pay the planner to use his or her knowledge of the industry and organizational skills to bring together the best baker, caterer, florist and string quartet in a coordinated effort to make your event successful. The event planner is the general contractor, and the people in his or her direct list are rare trusted subcontractors. 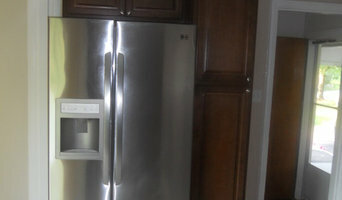 I have extensive experience as a general contractor, but also work as the "hands on" contractor on most of my projects. Trim carpentry is a speciality of mine and typically have installed 20 or more kitchens a year. Custom tile work is also one of my expertise, whether it is a walk in shower, kitchen backsplash, or detailed floor installation patterns; I take pride in the craftsmanship of all tile projects. Rogers is a full service paving and pavement maintenance company. With more than 28 years of experience, you can rely on the professionals at Rogers Pavement Maintenance. We take pride in our workmanship and believe in the "hands on" approach to provide superior quality with every job. 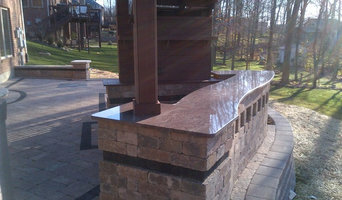 A small hardscape/landscape design build company that specializes in quality, high detailed jobs. "Sophisticated Environmental Design Specialists." The company was formed in 2013, but the two contractors are responsible for thousands of beautiful landscape projects around the country. We are known for our quality, detail, and for thinking out of the box. Dean A Bowman Construction, Inc.
Dean A. 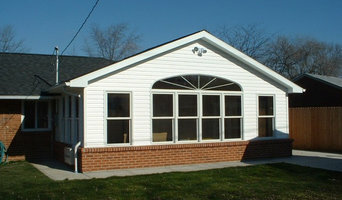 Bowman Construction Inc. is a residential construction company located in Troy, Ohio. We have over 35 years of experience in the area designing and building new custom homes, additions, and remodels. Our priority, as a small family owned business, is to work with our customers to provide solutions to their building needs. You will find us easy to work with and committed to customer satisfaction in all areas of our work. Us at Countryside Land and Lawn Design, can reveal the secrets for getting a stunning outdoor space. We will not only take care of the installation, but we will provide your lawn with the maintenance it requires. In addition, our professionals will tell you how to boost your garden’s interest every season with our little secrets for autumn and winter. We do not only perform flawless installations, but we can offer you reliable lawn maintenance, mowing, snow removal, leaf cleanups, lot clearing, fence-lines, paver patios, irrigation, and more. Our Springfield, Ohio based lawn care company has countless number of customers. For more than 15 years, we have been delivering only impeccable services. We strive to providing each customer with the same level of attention and first class and durable results. Whether you decide to plant some new flowers, or get your lawn mowed, make sure to give the most reputable landscape service provider in the area a call.